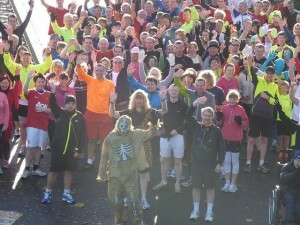 There was a party (if a bit chilly) atmosphere at the Waterworks parkrun as it celebrated its second birthday. Belfast City Council showed its support by providing a marquee and prizes. Local representatives Tierna Cunningham and Gerard McCabe, as was parkrun UK manager Tom, were in attendance to mark the milestone and to present awards to the annual points winners. 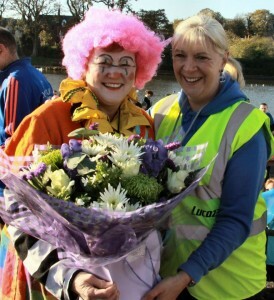 Paralympian Michael McKillop was also present with his two gold medals and to judge the fancy dress competition. To complete the party there was a great birthday cake, biscuits and buns, Peake physio providing massages to tired runners. There was also some running done on Saturday! A total off 33 North Belfast Harriers took part and provided 6 of the top ten. 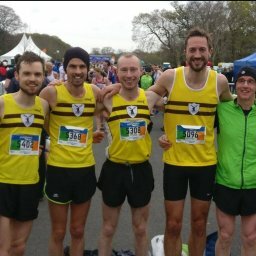 Conor Curran won the race in 16:26 in a field of 172 runners, Martin Rea was 3rd 17:33, Gareth Grew 4th 17:47, Paul Jenkins 5th 18:36, John McGuigan 6th 19:00, Jim Benson 7th 19:10. Matt Shields headed the next group of harriers in 11th 20:00, just ahead of Gerry Gribbon 12th 20:02, Conal McCambridge 13th 20:04, and John Murphy 14th 20:13. Next home providing good running was Greg McClure 17th 20:24, 18th Sean McShane 20:40, 23rd John Black 21:13, 27th Roisin Hughes 21:19, 30th Mannix McAlister 21:28, 33rd Martin Cox 21:42 PB, 38th Patrick McShane 22:32, 40th Kilian Woods 22:34, 43rd Patrick McCambridge 22:41, 44th Jack Carberry 22:43, 51st John Johnston 23:31, 55th Ita McCambridge 23:43, 70th Jason Reid 25:09, 88th John O’Hare 25:56, 93rd Damien Gill 26:26, Amie Bradley lead home a group of junior athletes in 120th 28:29 jr, 121st was Rioghnach Catney 28:34, 122nd Brendan McCambridge 28:34, 123rd Sean McShane JR 28:35, 124th Piaras McShane 28:37, 155th Aaron McCann 33:46. Finally John Burns was 163rd 34:58, and Jim Clinton 170th 36:41. 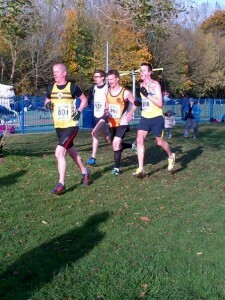 The cross country league is now well underway after the second race in Ballyclare on Saturday. 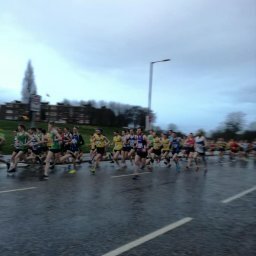 North Belfast Harriers demonstrated their commitment to the the day by sending 28 runners in total; some having already ran in the parkrun earlier that day. In the men’s race Niall Robinson from North Down was the overall winner 26.27. The first Harrier home was Alan O’Hara in 8th 27.06 which was good enough for 1st in the 35+ category. Neil Carty was 17th 28.06 and 2nd in the 45+ category, Paul Blaney came in 20th 28.43 which was 2nd in the 40+ category, Edward Cooke came 23rd just under the half hour mark at 29.34. Travis Todd lead the next group of harriers home in 31st 30.27, ahead of Peter Morrison 32nd 30.28, Mark Jennings 33rd 30.54, Laurence Johnston 36th 31.04 (2nd 50+ category), and 38th Gareth Grew 31.16. 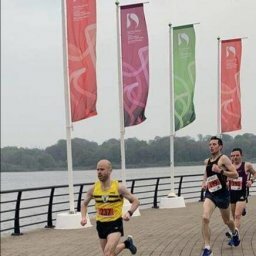 Kent Swann crossed the finish line in 43rd 31.43, James Wallace 47th 31.57, Mark McKinstry 53rd 32.12, Joe Norney 54th 32.17, Robert Irvine 61st 33.02, Gerry Gribbon 62nd 33.07, Stephen Walker 73rd 33.54, Greg McClure 74th 33.55 (1st 55+ category), Mark Shields 76th 34.03, Darryl Blair also took part. Drew Crawford ran in the veterans race and finished 29.24, 3rd in the 70+ category. All that running means that Harriers are unofficially second the the league just 3 points behind City of Derry with North Down in 3rd position. In the Women’s race North Down were also victorious with Jessica Craig finishing 1st 18.01. Not far behind was Claire Connor 4th 18.37, then came Judi Graham 6th 19.10, Jennifer Bill 22nd 20.45, Paula Wallace 42nd 22.38, Athanasia Sevastaki 43rd 22.40. That performance means that the Harriers are 3rd in the female league unofficially on 17 points behind City of Derry 24 points and North Down on 26 points.